We work with every make and model of boiler on the market. We stock a huge selection of parts, we are fault-finding specialists and have travelled throughout the UK attending courses of all the most popular makes and models of boilers installed throughout Ireland. With our vast knowledge of boilers & heating systems. We can usually diagnose the problem within an hour, so we can have your boiler back up and running within the day. If your boiler keeps breaking down and your having to install parts and pay unnecessary call out fees. Well then it is time to replace your boiler. So what does this actually mean ??? So with a new condensing boiler you’re putting in €1 and getting 91 cent or more value and only having a tiny wastage of 9 cent or less. So how is this achieved ??? Well basically your new condensing boiler extracts the heat from going out the flue pipe outside the property and converts it back into heat which is transferred back into heating your radiators & hot water, in turn saving you money and energy and reducing your greenhouse gas emissions. The heat expelled out into the atmosphere will be as little as 55 degrees with a high-efficiency boiler. 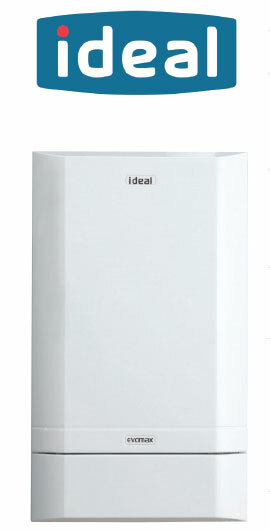 If you compare this to a non condensing standard efficiency boiler which can let out heat into the atmosphere of up to 150 degrees or more.